What is Gap Insurance and Should I Buy It? Gap insurance, otherwise known as Guaranteed Auto Protection insurance, is protection for when the actual cash value of your car is less than what you owe. This situation may arise when buying a new or nearly new car, financing a used car without a down payment, or purchasing an vehicle of considerable value. Let’s say you purchase a new vehicle and finance $38,000 with very little down payment. As soon as you drive off the lot, your vehicle is no longer new and the value drops considerably. If you were in an accident or your car was stolen, your insurance company may only offer you $32,000 to replace the vehicle. Since you still owe the bank $38,000, there is a “gap” of $6,000 between what your car is worth and what you still owe. That’s where gap insurance kicks in and pays the difference. You do need to insure your vehicle with both comprehensive and collision insurance in order to qualify for gap coverage. When is Gap Insurance a Good Idea? Everyone has a different tolerance to risk, and gap insurance is completely optional. Here are a few circumstances where purchasing gap coverage may be in your best interest. If any of these situations apply to you, then you may want to consider purchasing gap insurance with your next vehicle. But keep reading, as there is a right way and a wrong way to buy it. If you are buying a car through a dealership, there is a good chance that they will attempt to sell you gap insurance as part of your vehicle financing. It’s always tempting to just roll the price of gap coverage into your monthly payment and not have to pay upfront, but you will end up paying much more than you need to for coverage. Car dealerships are paid a hefty commission for selling any kind of additional insurance or warranties, and you are better off buying coverage from your insurance agent. 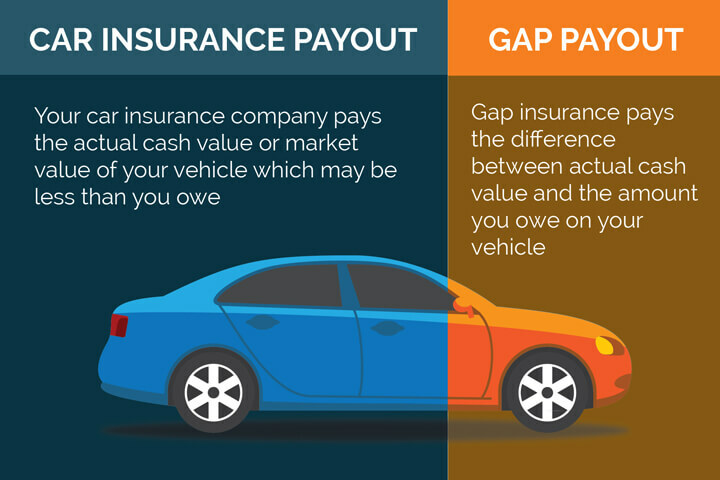 You may also be able to buy gap insurance through your lender, but again, it will be much higher priced than if you buy it from your local insurance agency. Before purchasing a vehicle, talk to your insurance agent about gap coverage. There is a good chance you can obtain coverage through your current car insurance company for as little as $20 or $30 a year. Which Insurance Companies Sell Gap Insurance? Gap insurance is offered by many major car insurance companies, and here is a list of companies that are verified to offer it. With the companies listed above, gap insurance is offered as an add-on to an existing policy. So you cannot just purchase stand-alone gap insurance from them. Each one has different conditions attached to purchasing the coverage, so it’s a good idea to find out exactly what is and is not covered before purchasing. There are some companies that offer stand-alone gap insurance policies, but the prices are much higher than if you purchase coverage from your existing auto insurance company. But if your current company does not offer it, then they may be your only option. It’s worth a Google to compare prices and see if it makes sense for you.